"We are thrilled with the positive outcomes from this collaboration. confidence and overall quality of design work." educational experience and cultural immersion." 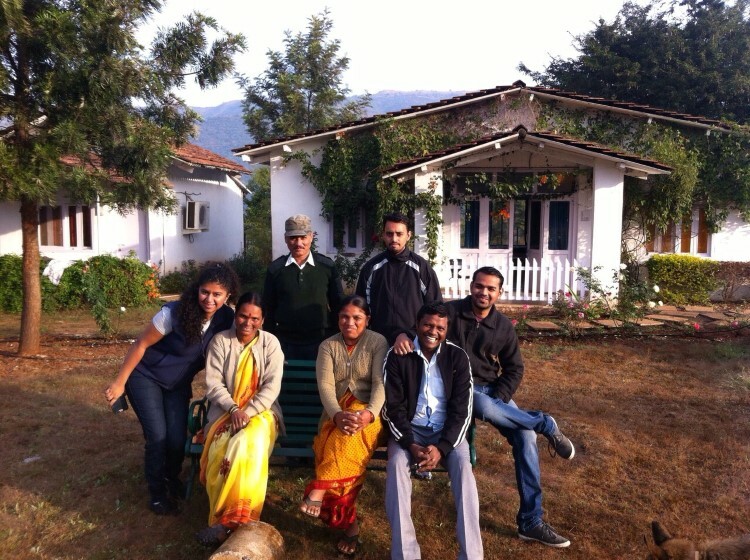 "Post the program we did 5 Healthcare Camps on our own. Customers have started looking at us in a different way now. They are looking at us more like a facilitator than a financier. That’s a huge shift for us"
This program is a life changing insight into the world of cinema. When Job Seekers become Job Creators. Witness the journey of a country’s development through the economic participation of small enterprises. Understand the inner workings of microfinance institutions with a focus on achieving financial inclusion for the otherwise "non-bankable" urban poor in India. 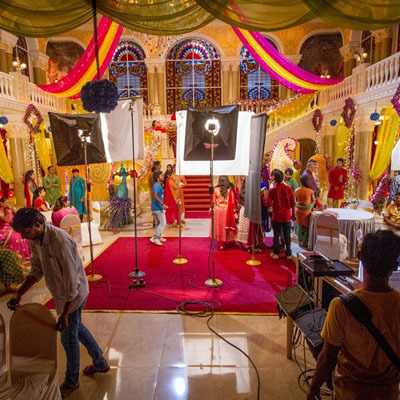 Go deeper into Bollywood, one of the largest and most profitable industries in the world and get exposed to film marketing and the business of making films. 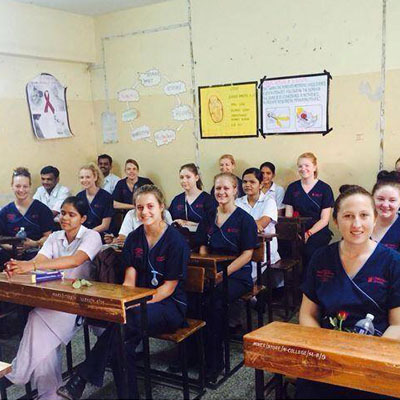 The Clinical Rotation program is a chance to learn about healthcare delivery and health problems faced by communities in an urban setup.. 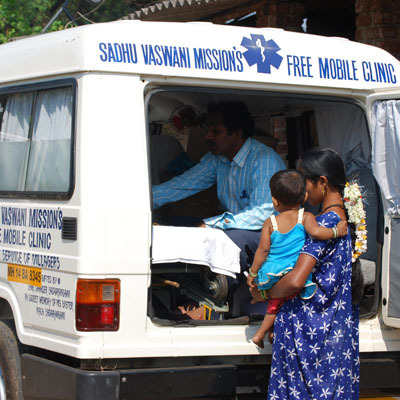 In this program you get an opportunity to work in local government as well as charitable hospitals and small private clinics in rural areas, and accompany mobile health vans to interior villages. 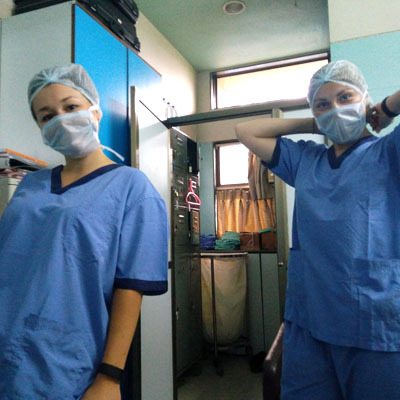 A combination of our Clinical Rotation in and Rural & Public Health Rotation this program is a complete experience of India’s urban and rural healthcare system. Explore the many facets of healthcare delivery in Rural India and its challenges alongside the nurses and caregivers. 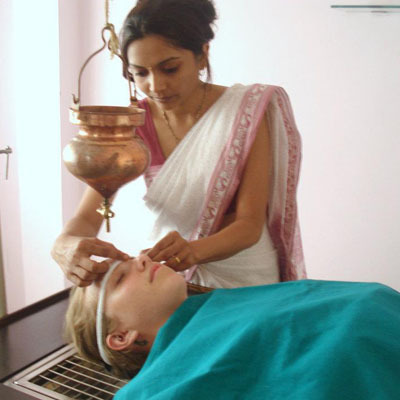 Explore ancient Indian methods for healing like Ayurveda, Naturopathy, Homeopathy, Unani and Siddhi. Learn Yoga and experience it’s benefits in your own life. The students participating in Educate and Make a Difference Programs will be involved in capacity building of teachers in local schools or orphanages. Social Business & Entrepreneurship Program is a teaching and learning strategy that integrates meaningful community service with instruction and reflection to enrich the learning experience, understand civic responsibility, and strengthen communities. 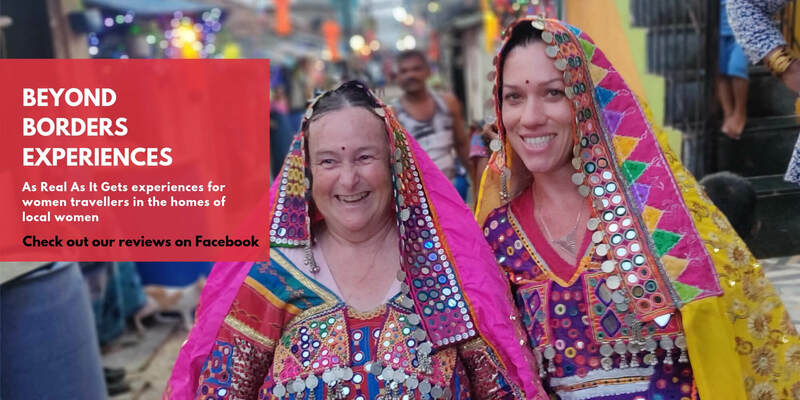 The first card for Design Abroad content is: Gain an in-depth understanding of the local culture in a developing world by engaging in design processes like participatory design with marginalised communities. Learn about a subject in your academic course by engaging in a Community Service Project curated especially to enrich your learning experience. 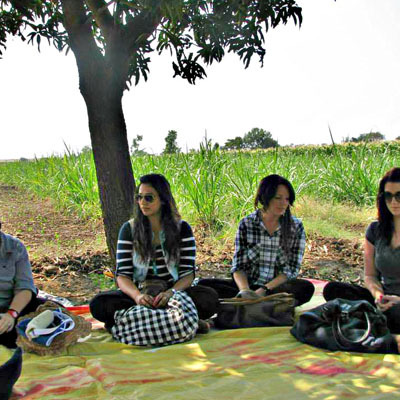 Beyond Borders also offers a host of Bespoke Programs set in a wide variety of fields. 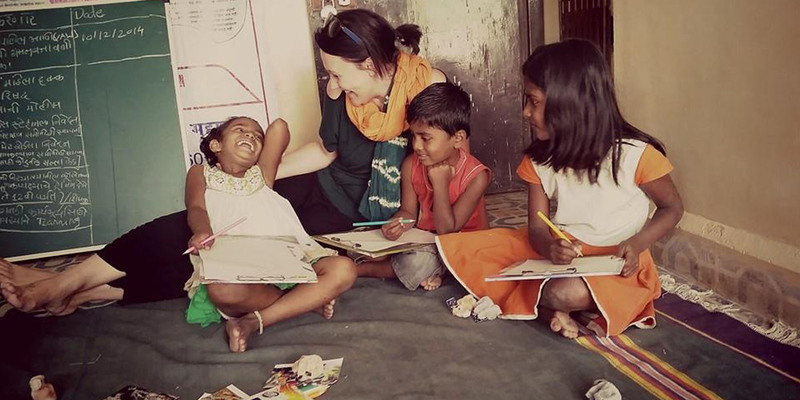 Working as an Intern in India is an opportunity of a lifetime. 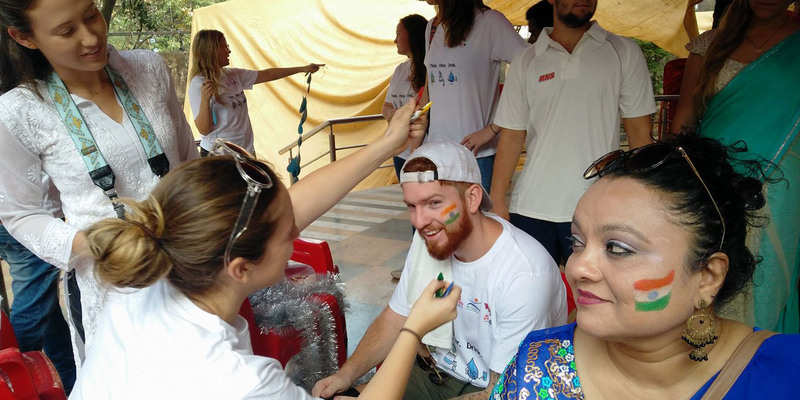 Beyond Borders Learning Programs is a social business which has been offering a variety of experiential learning programs for international students since its inception in 2006. Our expertise lies in designing and executing a range of programs in various fields like Entertainment and Creative Industry, Business Studies, Healthcare, Education, Developmental Studies, Creativity & Design and Internships. 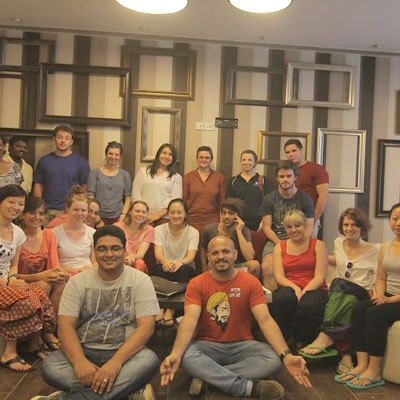 We were formerly known as India Study Abroad Centre or ISAC until we changed our organization structure in 2015. Beyond Borders offers unmatched service standards, health and safety norms modeled on global best practices and a balanced perspective to the country, it’s rapid development and the underlying social issues. This makes our programs unique and an unforgettable experience for all the participants. 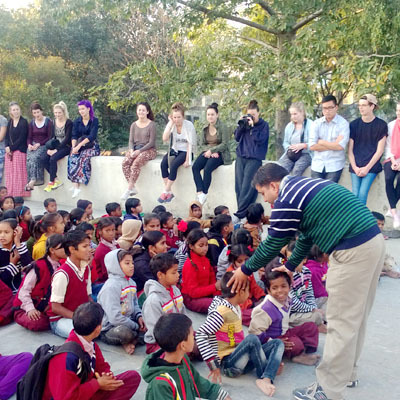 Whether you are thinking about traveling to India for a study abroad program, to volunteer your skills or simply to travel and learn about the culture and history of the Indian sub-continent, BEYOND BORDERS is your ideal mentor and guide. A software engineer in his previous life and a maverick film-maker with over 8 feature films to his credit, Hansal has donned many caps. From a software start up to making independent films in ‘Bollywood’ to India’s most popular food show ‘Khana Khazana’ and then heading one of India’s premier production houses, Hansal terms his wide professional experience a never-ending adventure. His ‘politically incorrect’ blogs on cinema and sometimes subversive poetry can be found on www.hansalmehta.com. He has been honored with National Award for his film ‘Shahid’ in 2014. He believes that experiences and travel shape some of the world’s finest talents. He also believes that global citizenry and engagement with diverse communities are indeed solutions to many of the world’s pressing issues. 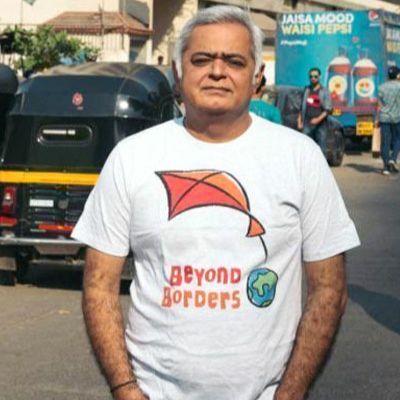 Hansal leads BEYOND BORDERS with his passion for change and vision for a better tomorrow. Aaron has been associated with BEYOND BORDERS’ since 2010 and leads the company’s ambitious vision for the future with a focus on organizational development and expansion. He also focuses on ensuring that Program Depth and Quality as well as the Health & Safety standards of the organization adhere to best practices followed around the globe. Mukesh Vana comes from Southern part of India and had language barriers while communicating in the city of dreams. He comes from very humble background and has been associated with Beyond Borders from the very beginning. 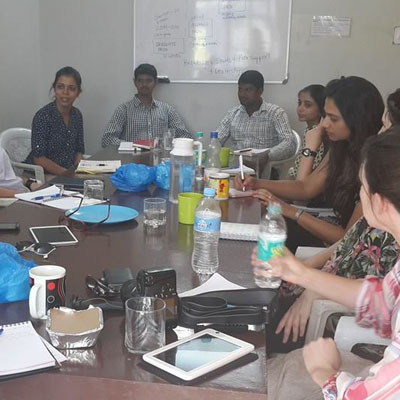 Although he did not complete his formal education, he is now fluent in English and while working with the organization made sure that his spoken and written communication skills in both English and Hindi become strong. He has achieved tremendous professional and personal growth through the years and has contributed to the success and growth of Beyond Borders. Students in the past have appreciated his friendly, outgoing and helpful nature. He manages the placements for the Indian Film and TV industry programs and is responsible for all logistics for our Mumbai Programs. Before joining Beyond Borders, Farooq Shaikh served the nation as a Petty Officer in the Indian Navy for 18 years. He was a part of the team aboard the INS Vikrant & INS Virat and was posted in the LTTE Sri Lanka War Operations for 2 years. During the war Farooq dealt with many risky situations and even survived a bullet. He now works with a Private Security Company as well as with Beyond Borders. 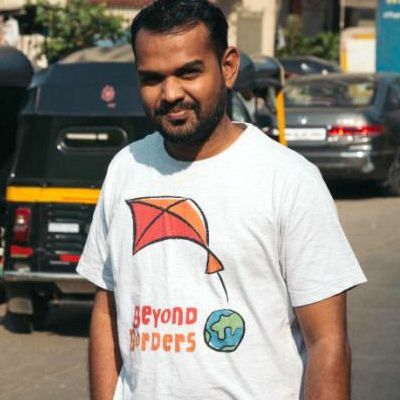 He has been a part of the Beyond Borders family for the last 5 years and manages all the logistics for our Malavali and Pune locations. Aftab Alam has a Master’s degree in Finance from the Aligarh Muslim University, one of India’s most prestigious central universities. Although he only has 2 years of experience in the field of finance, he has already taken on the responsibilities of looking after the Finance and Administration function at BEYOND BORDERS with his demonstrated ability to learn quickly and apply his learning to the job. He now manages the preparation and maintenance of a variety of financial records and reports, develops goals and objectives for the finance and administration department, prepares and administers internal policies and procedures relevant to departmental program activities and interprets and explains applicable rules, laws and regulations to all members of the BEYOND BORDERS Team. Mansoor Shaikh has been operating the accounting and finance department in Beyond Borders Programs for the past 3 years. He holds a graduation degree in Commerce from Mumbai University and has successfully completed ICA course. He is a qualified accountant with more than 8 years of experience in accounting, auditing, financial reports, compliance and transaction advisory. 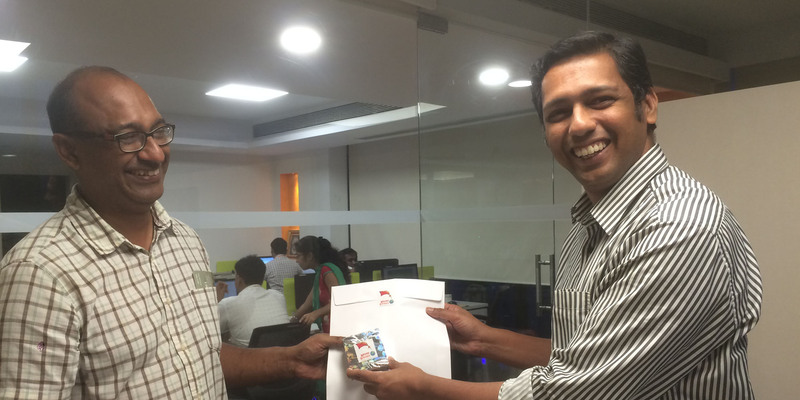 Mansoor is another integral asset to the company. In his free time, he enjoys wildlife photography, trekking and jungle camps. He has keen interest in social work and has volunteered with lots of NGOs in their work. He has started his own small initiative of tree plantations by collecting seeds from individual people and households and planting it in free space area. He aims spreading the awareness to maximum individuals. Beyond Borders places the highest priority on health, safety, and security of all our participants. We have designed and developed proactive and responsive risk management strategies that take care of both the physical and emotional safety of every participant. As our programs are experiential in nature and offer every participant an opportunity to explore the realities of the communities they spend time with, we are careful that we do not go over the top with our risk assessment criteria. This allows our program participants to navigate every program safely, with no impact on their physical or emotional health & safety, yet, derive insightful and life-changing experiences from their time here. Our proactive risk management begins with assessments of health & safety factors and creating appropriate response mechanisms. Health & Safety assessments are carried out when we select program locations which could be urban, semi-urban or rural areas. Our Placement partner co-ordinators, Academic directors and our own staff are all oriented towards handling emergencies and know to handle different types of crises. Our responsive risk management strategies include 24/7 on-call availability and following emergency/crisis management protocols in case there is a crisis. Beyond Borders Programs maintains a 24-hour safety and emergency response on-call system for any health, safety or security concerns that may arise. A Beyond Borders staff is assigned to every individual participant or a group who ensures the physical and emotional safety of every participant. They are the eyes and ears on the ground and help participants navigate all the aspects of being in a new place. Only when a participant is confident about navigating their life here on their own does the Beyond Borders staff stop accompanying the participant to their placement. There is no time limit to this phenomenon as different participants take different amounts of time to reach this level of confidence. Beyond Borders Programs locations are finalised after proper audit considering various health & safety factors such as: safe from crime areas, environmental safety and weather conditions that are conducive for the participants. Beyond Borders program managers reviews the medical forms of every participant and carefully considers the information provided and prepares for any precautionary measures that might be required like special diet plans for allergies, doctor’s readiness for pre-existing health conditions and measures for conditions that require more supervision and support. On arrival students are picked up from the airport by a Beyond Borders staff and accommodated at a safe and secure guesthouse appointed by us. Our guesthouses are chosen in a way that within a 7 km radius a reputed hospital would be present. Transportation is available at the guesthouse in case of any emergency. In the event of any medical emergency during the course of program, the participant will be assisted by our staff members. Immediate information of the situation is provided to the guardian, the university of the participant and the insurance provider. All the required documentation and on the ground formalities related to healthcare and insurance will be taken care by us at the healthcare facility. In extreme cases where treatment of the participant is not possible or recommended in this country, we help the participant safely return to their own country. We have many policies and processes to provide an extra layer of security to all our women participants. All our coordinators serve as local guardians and are well versed with the international health & safety norms and are also certified to administer First-Aid. We act as a local Guardian for every participant and ensure that all our participants feel safe and are able to gain the most from every Beyond Borders Program. 1. How to register and create a group ? If you are registering as a group, you must elect a group leader who will register your group. The group leader will create a group name and password and will pull you into the group. Prior to being added to the group, all group members must login to begin the application process and select a program. 5. 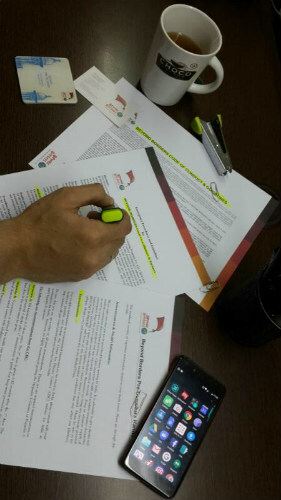 As a group leader you have to enter all the details of the member who are coming for any BEYOND BORDERS program. 7. Make sure you enter the email id correctly as the member will receive the user id and password on the entered email address. 11. The final installment will be automatically displayed in the student panel and all the members have to pay 45 days prior to the arrival date. 12. There is a group limit set for every group application so make sure you enter your members accordingly. 2. What are the terms and conditions for registering a group ? 2. Get a few friends to come for an BEYOND BORDERS program with you and you could avail of a special institutional price for your program. This price would apply to all members of your group. 3. You would require at least 3 more people besides yourself to apply for a program as a group. 4. BEYOND BORDERS would treat the group as a single unit, thus all members of your group would need to apply for the same program and select the same program start date as yours. 5. We assume you would be the leader of this group and once you select an BEYOND BORDERS program and a particular start date, the rest of the group could enter their personal details on their own “My BEYOND BORDERS” page. 6. In case the group wants to edit their program selection or their start date, you as the leader would need to send a request to BEYOND BORDERS admin to do so. 7. All members of a group would be expected to pay their respective deposits & fees and in order to confirm the group’s participation in a program. If any member of a group misses a payment, this would jeopardise the rest of the group’s ability to participate in the program as a group and avail the benefits of a group. 8. If any member/s in your group drop/s out before fully paying for the program and that brings down the group number lower than the minimum required 4, each participant would be treated as an individual and would need to pay fees applicable to any individual applying for a program. 9. If any member/s in your group drop/s out after fully paying for the program and that brings down the group number lower than the minimum required 4, you and the remaining members of your group would still enjoy the institutional price applicable to the group. The individual/s who dropped out would need to refer to the BEYOND BORDERS refund and cancellation policy applicable for individual applicants. 10. If the entire group decides to cancel their program, you would need to refer to the BEYOND BORDERS refund and cancellation policy applicable for individual applicants as any group for cancellations & refunds is treated as a single unit. BEYOND BORDERS programs will either make you work in a group or accomplish a rotation involving many organisations. In an internship you would work with a single chosen organisation on a pre-arranged identified project. Even if there are other Interns assigned to the same project and you may have a group goal, your work and the outcome of your work would be reviewed individually. Internships could give you a chance to take higher responsibility right from the start and be involved in important projects that would help improve your skills at work. You would learn to manage difficult and challenging situations in everyday life and at work which will lead to personal growth and professional competency. 4. How long can Internships be ? Unless you have obtained an entry visa for more than 6 months stay in India, your Internships could last for the duration of your visa. They have to be for a minimum of 5 weeks. 5. Are internships in India affordable ? 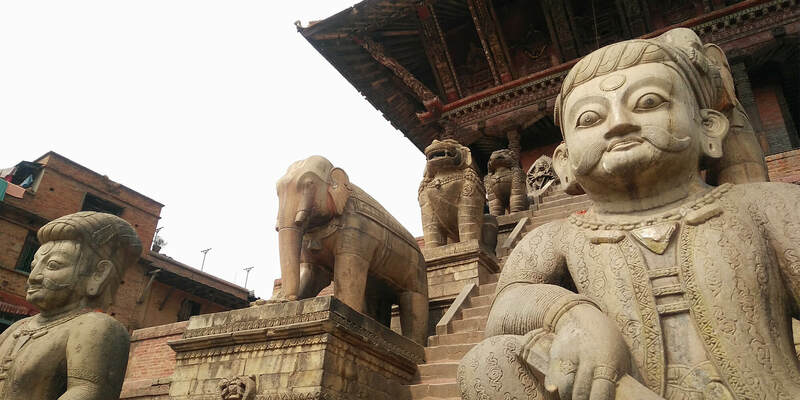 Indian life is affordable for interns as accommodation, food, clothing and travel are comparatively inexpensive, thus allowing you to combine work and travel experiences at an affordable price. An intern would be expected to spend USD 500 to USD 700 per week in India for accommodation, food and placement services. For travel and basic essentials you could budget for USD 50 for the entire work week. 6. How would an Intern know about potential projects ? Placement organisations who accept Interns keep us posted about project opportunities that exist with them every year. Once you apply as an Intern you would need to choose a field of work and then produce evidence of your competency in making a difference in that field. BEYOND BORDERS would match your skills and interest areas to available projects and then share the project details with you for you to choose. There are times when another student might be accepted into a project at different phases of it’s lifecycle and this could mean that more students could be working on a project with you. 7. How do I get selected into an Internship ? The selection process requires you to commit to a certain amount of work time to a community intervention or an organisational project. We expect at least 35 hours of work time to be logged in per week by an Intern and the minimum duration of any internship is 5 weeks. Once this is understood, your resume would be matched with available opportunities or projects that you have shown interest in and choices, if available, will be given to you to select a project. After this you would go through a personal interview to qualify for a project. This interview will assess your ability to navigate a new culture, your skills and interest areas and your ability to function and produce results while dealing with stress. 8. What kind of support do Interns get ? Through the duration of your internship the Beyond Borders Academic Director assigned for your program will collaborate with you to provide you with guidance and expert advice as well as cultural or social context to your experiences. We will be the bridge between your work and the organisation’s expectations and continuously assist you in producing the desired outcome for yourself and the organisation. We will also mediate any issues that you may have to deal with and help you navigate any concerns that might come up during your work. In not so many words, we will be your guardian angel through your India experience! 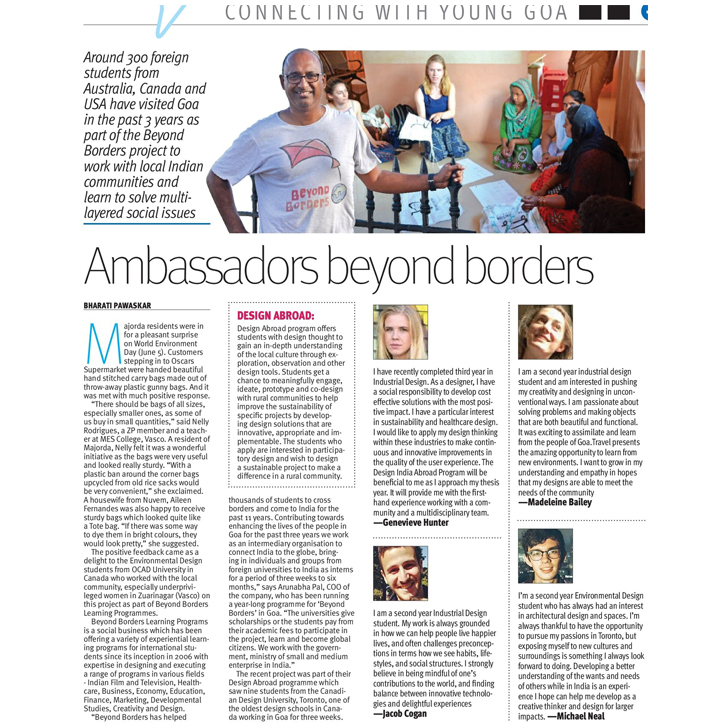 Interns would get shared accommodation arranged by Beyond Borders and 3 meals everyday. We will also provide emergency support services round the clock and be happy to help you with all sorts of local support through your Internship. 9. Are there scholarships available for Beyond Borders Programs ? Beyond Borders offers scholarships for certain Programs from time to time. Please write to info@indiastudyabroad.org to know if scholarships are available for you. Sometimes, some part of an Intern’s in-country expenses while on the program could be taken care of by the organization with whom you intern. 10. What’s included in the program fees ? 4. Cultural adjustment, health and safety orientation. 7. Shared accommodation at BEYOND BORDERS guest houses. The accommodation at all BEYOND BORDERS program locations is secure, centrally located and basic but comfortable. Most BEYOND BORDERS guest houses have power backup, hot water, modern amenities, internet access, television, a well equipped kitchen, day staff for cooking and cleaning . 8. Three meals a day: Indian vegetarian meals. BEYOND BORDERS does not serve meat at guest houses for health and hygiene reasons. Often curries or breakfast might include eggs. Vegan meals can also be arranged on request. 9. Support during program activities and monitoring (Program activities are Monday to Friday. Weekends are free for students’ personal travel). 10. Weekly reviews of the program with qualified program personnel (Program Director/Program Manager/Academic Director). This includes reviews of the participants learning, contribution to placement organization, facilities, logistics and program content. 11. Help/support/certification in completing participant’s requirements for academic credit. 12. 24 Hour emergency support (7 days a week). 1. Any overnight accommodation in Mumbai if your flight arrives before program date. 3. Air ticket to India, visa fees and any travel insurance will be the responsibility of the student. 4. Weekend and overnight excursions outside the program activities will have to be paid by the students directly. 5. Expenses of personal nature like table drinks, fruits, juices, other snacks or personal preference meal items, mineral water, international telephone calls, or any other expenses which are not included in the above list, would be borne by the students. 6. Airport Drop at the end of the program is not included in program cost. 11. Can I receive academic credit for my participation in a BEYOND BORDERS program ? 12. What is BEYOND BORDERS’s refund policy ? In the event of circumstances beyond our control, BEYOND BORDERS reserves the right to cancel any program at any time. BEYOND BORDERS also reserves the right to reject an individual at any time prior to departure, at its sole discretion. In the unlikely event that a program is canceled, or if a person is rejected the total amount paid to BEYOND BORDERS will be refunded. If you cancel your program for any reason, you must notify BEYOND BORDERS in writing. If you cancel, you may apply the non-refundable deposit of USD 300 to another BEYOND BORDERS program scheduled within 12 months of the original arrival date, subject to space availability. If you cancel within 30 days or less of the scheduled arrival date in country, you will be charged 50% of the program fee and the balance will be refunded to you. No portion of the program fee is refundable after the program start date. Furthermore, no refunds will be made for unused portions of your program or because of your inability to participate according to the scheduled itinerary. Please note that any airfare penalties charged by any airline or travel agent are not BEYOND BORDERS responsibility. 13. How do I pay my deposit? Do you accept cheques ? We accept online payments through credit/debit cards only. To make payments you must click on a secure link in an invoice that will be emailed to you and pay. 14. Why should I pay to volunteer or participate in BEYOND BORDERS programs ? 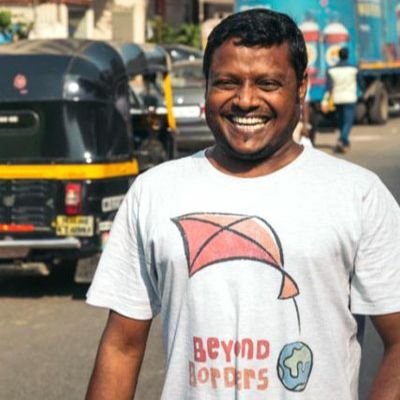 BEYOND BORDERS is an independent social enterprise with no governmental funding or religious affiliations. Like most other internship/volunteering programs BEYOND BORDERS charges a fee that covers the cost of operating these programs. These operating costs include cost of placement, accommodation, meals, honorariums to academic directors/sector-specific resources, qualified program staff, marketing/outreach, donations to placement sites and other organizational overheads that facilitate a large number of students participation in BEYOND BORDERS programs. Below is an excerpt from a book on international volunteering that helps to explain the necessity of this fee. 2. Identifying appropriate host organizations overseas and working with them is time-consuming, takes resources, and requires an experienced and professional staff. 3. The process of preparing, training, transporting, housing, feeding, and supervising volunteers is not cheap. Additional services such as health care, re-entry assistance, travel medical insurance, and more, all add to the expenses of a program. 4. The costs of recruiting volunteers, producing literature, answering the phones, sending mailings, developing a website, and interviewing potential volunteers are significant. 15. 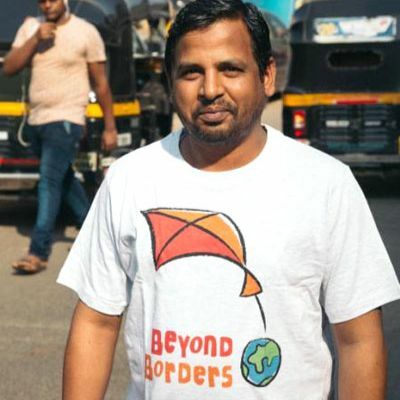 How does BEYOND BORDERS ensure safety ? 16. Do I have to speak the local language to go on the program ? 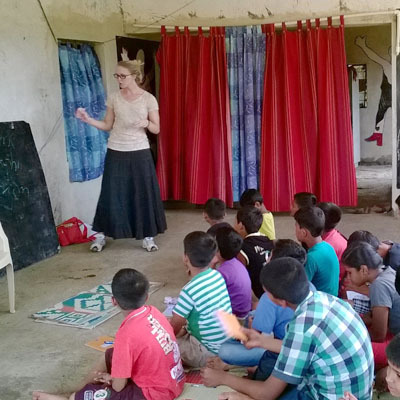 BEYOND BORDERS programs do not require knowledge of the local language as English is widely spoken in India. 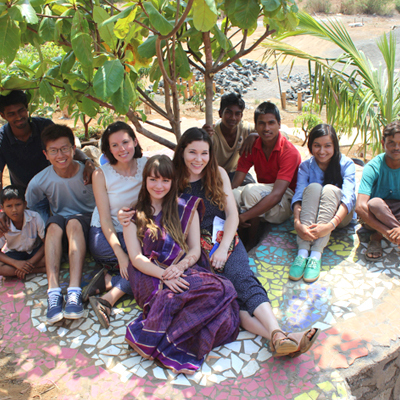 We also believe that navigating through diverse cultures and languages is an integral part of experiential learning. While BEYOND BORDERS provides participants with a list of essential phrases in the local languages, most placement sites have coordinators who converse in English and students on programs as short as 3 weeks often understand the local language (some even begin conversing in them)! 17. 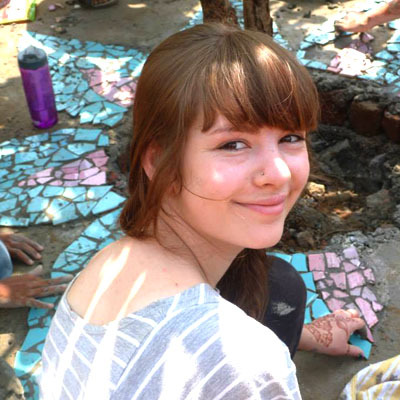 Are BEYOND BORDERS projects open to high schoolers ? Although no prior experience or other training is required to participate in BEYOND BORDERS program, the participant must be preferably over 18 years of age, easygoing and flexible. The students should be able to adjust to inconveniences caused due to disturbances in communications, power and water supply in some remote areas of India. 18. Do I need a passport or visa to go on the program ? 19. How will the weather be in India ? The climate in India is predominately influenced by the Himalayas and the Thar Desert which together drive the alternating monsoons which drive the weather changes in India. India can basically be split up into 7 different climatic regions which play host to 4 different climates. As you move around India you will find a variety of weather conditions ranging from tropical wet to tropical dry and subtropical humid to montane. Extending from 8 degrees north to 33 degrees north and with a wide variety of terrain it is understandable why such a variety of weather conditions prevail. India is home to the highest mountain range in the world- the Himalayas, so here you will find permanent snow fields that are frozen year in year out. As you move south and head toward the tropical coast lands you will find conditions that are fairly typical of a tropical climate. In the vast plains of the Ganges valley, summers can get unbearably hot and even in the winter months the conditions stay fairly warm. As a whole, India’s climate is driven by the Asiatic Monsoon system which differs from any other weather system in the world in that the winds which determine the climate are ever changing from year to year, and there is no predictable weather pattern from year to year as the prevailing winds can change direction at any point in time. is when the south west monsoon comes through India. In different parts of the country the monsoon will come in at later periods, though on average it will hit in about June. During this time, in the mountains, very heavy rainfall is recorded. 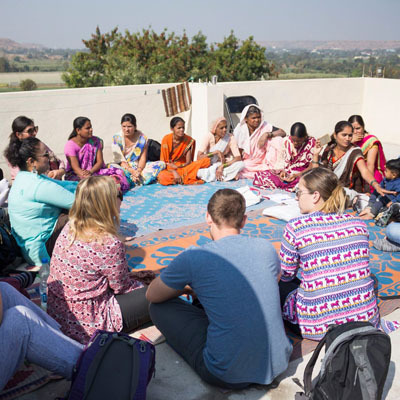 A majority of BEYOND BORDERS’s programs are hosted around India’s diverse western region which include Maharashtra and Gujarat. Mumbai (formerly Bombay) is located in this region, and conditions here are fairly indicative of what weather prevails at sea level. The weather in Mumbai is tropical, and is home to two seasons- both of which are fairly enjoyable. The humid season in Mumbai is between March and October, and is characterized by humidity and temperatures over 30 °C. The average high during April, May and June is 32- 33 degrees and the minimum only falls to 26-27 degrees. Rainfall is at its highest during June and July, particularly in July. The dry season in Mumbai, typically from November to February, sees moderate humidity and warm to cool weather. From January to February, cold northerly winds bring a mild chill through the area. Average minimums during this time are still a pleasant 12 degrees, maximums sit at about 29 degrees. Daily sunshine during this time is about 8 to 9 hours, which is a stark contrast from the 2 to 3 hours of sunlight during the cloudy months of July and August! As we move away from Mumbai towards our other major program site in Malavli which is situated near the popular hill-station Lonavla there is a dip in temperatures and humidity levels. Weather in Malavli is mostly pleasant to chilly throughout the year. Rainfall can be heavy in the months of July and August with long burst of heavy rain that sometimes last for over 3-4 days. BEYOND BORDERS’s other program area is around the desert state of Rajasthan, which is dry and, well, desert like. In almost all parts of this region rainfall is below 500mm annually and in some parts no more than 250mm of rain will fall in an entire year. In the hottest time of the year, from May to July, this region is in fact one of the most hot places in the whole world. 20. How will the food be while I’m on the program ? BEYOND BORDERS programs include 3 meals (breakfast, lunch and dinner). These meals are vegetarian, nutritious, non-spicy and cooked at our facilities by BEYOND BORDERS cooks. 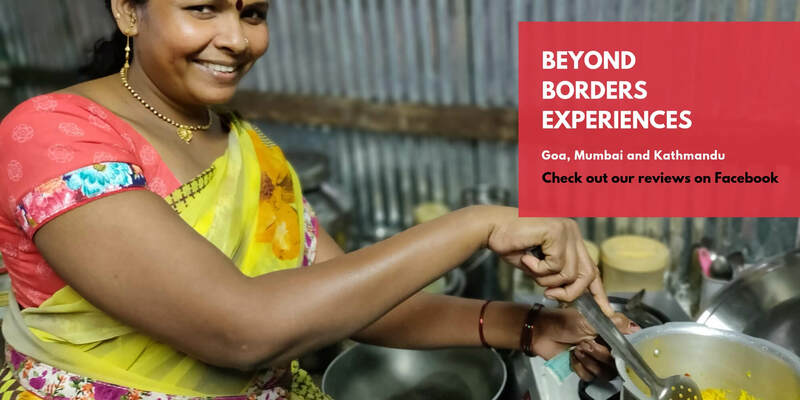 BEYOND BORDERS provides only vegetarian (mostly Indian) cuisine while on the program primarily for health and hygiene reasons; variable quality of meat and hot spices used for preparing curries can often lead to indigestion and sometimes serious gastrointestinal problems. There are a variety of excellent options for dining out close to most program sites where participants who need their fix of meat can enjoy a meal. Eggs are sometimes a part of the BEYOND BORDERS menu. Vegan meals and special dietary plans can be customized by BEYOND BORDERS staff provided the requests are sent to us at least 1 month prior to the participant’s arrival into India. 21. Is the tap water safe to drink ? Tap water may not be safe for drinking. However water purifiers have been installed at all BEYOND BORDERS guest houses and this water is totally safe for consumption. BEYOND BORDERS recommends packaged water when dining out or while participants are traveling. 22. Will I need an electricity converter ? You might need universal plugs for your electronic gadgets. 23. What types of clothing should I bring ? As part of your pre-departure orientation, a sample suitcase list would be sent to all enrolled students. The dress code is conservative with minimal display of skin. Do not bring any tight fitting, short or see-through dresses. Spaghetti straps and shorts are often considered inappropriate at the program sites. 24. How should I bring my money ? 4. Most preferable are credit cards and ATM cards as they provide you with maximum flexibility. You will find ATM machines at most locations and you can draw money from your account or get cash advances on your credit cards. Please bring all your relevant pin numbers with you. 25. Will I get access to Internet and international calling phones ? Most BEYOND BORDERS guest houses have Internet facilities in the form of wifi routers or modems. However, these services can be erratic, particularly in rural areas. Internet cafes are usually located in nearby locations and these can be utilized for a nominal cost. International dialing/messaging services are available on the local sim cards provided to participants by BEYOND BORDERS. Since incoming calls on these local numbers are mostly free of cost we recommend that participants provide their contact numbers to friends and family overseas. 26. What vaccinations are required before I leave ? Before visiting India, you may need to get vaccinations and medications for vaccine-preventable diseases and other diseases you might be at risk for at your destination. Your doctor or health-care provider will determine what you will need, depending on factors such as your health and immunization history, areas of the country you will be visiting, and planned activities. If you have a medical condition, you should also share your travel plans with any doctors you are currently seeing for other medical reasons. 27. 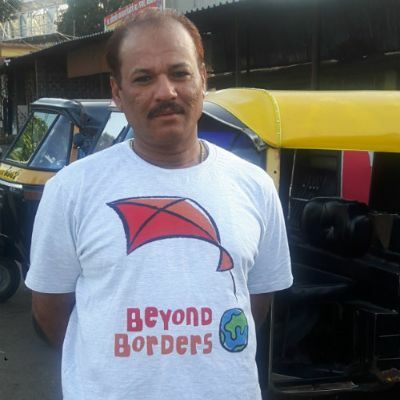 How many people have participated in BEYOND BORDERS projects ? BEYOND BORDERS since its inception in 2006 has hosted nearly 1100 students for various programs. 28. What is GST ? Goods and Services Tax (GST) is an indirect tax applicable throughout India which replaced multiple cascading taxes levied by the central and state governments. Under GST, goods and services are taxed at the following rates, 0%, 5%, 12% ,18% and 28%. BEYOND BORDERS Programs have a 18% GST which will added to your Program Fee and will be paid to the Government of India. 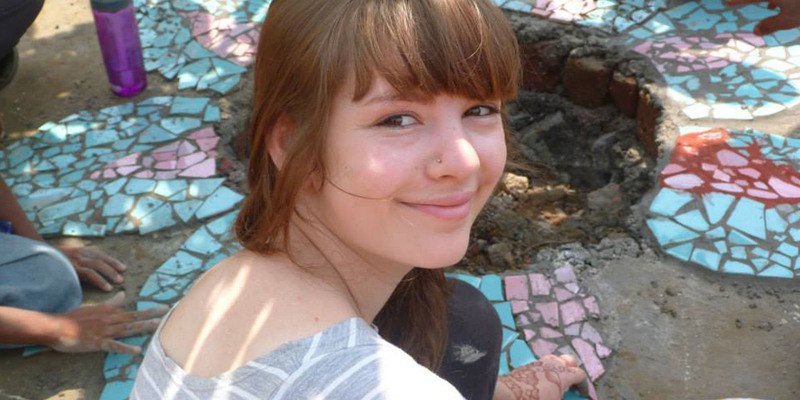 Emily Boros-Rausch a Material Arts and Design student from OCAD University, graduated and decided to come back to India for a longer experience, after experiencing the Beyond Borders' Design Abroad: India group program in May 2014, The opportunity of being able to co-design a project with Shikshangram children's shelter during the 3-week program in 2014 left her wanting for more. 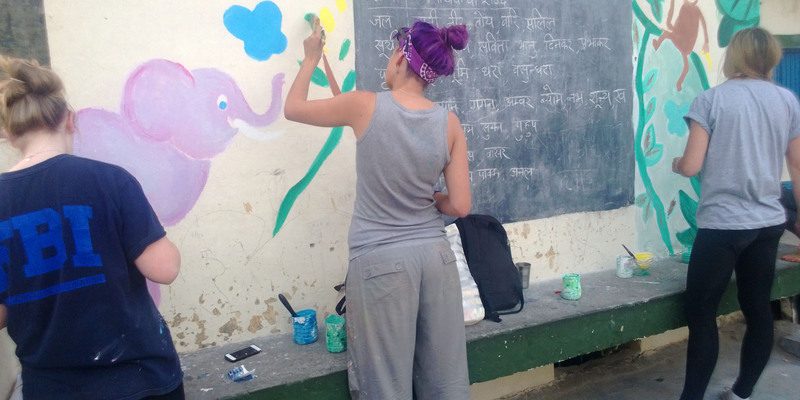 Thus, she came back to India for a 3-month long volunteering opportunity with Tara Trust in early 2017 and worked on women's empowerment through arts and design project. 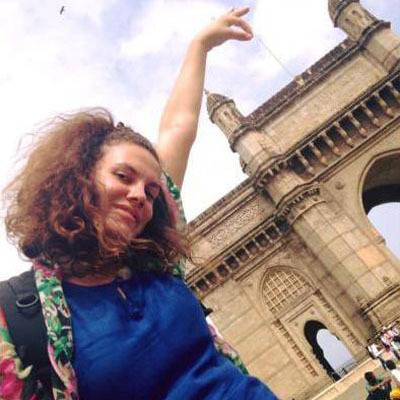 Nicole Hutton, an Entertainment Industries student from Queensland University of Technology, first came to India on group study tour of 2-weeks for a Bollywood Marketing program in June 2015. The opportunities she had of meeting with various film professionals on the Beyond Borders program left her wanting for more and she yearned for a longer hands-on experience. Thus, she came back to India in December 2015 for a month long internship with a PR professional whom she'd met during the study tour. 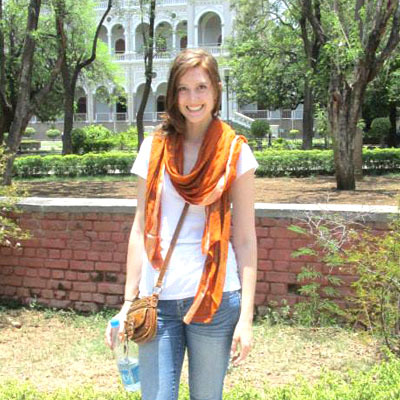 Kaitlyn Child a pre-med student from University of Utah, first came to India for a 3-month long program in May 2014 to learn about Healthcare in India. 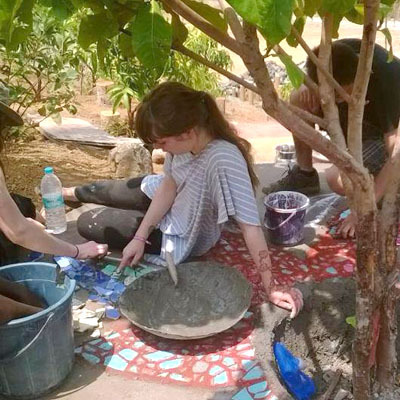 She so fell in love with the culture and chaos of the country, that she decided to return to India for a longer volunteering opportunity with Environmental Sanitation Institution in mid-2016. 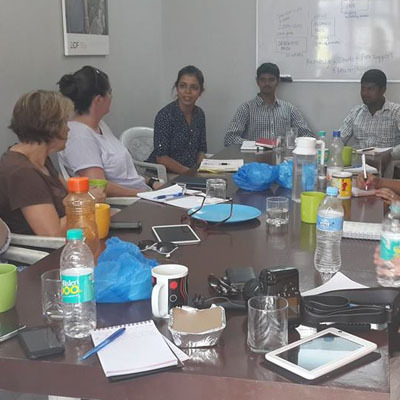 Robin Jackson a Diploma student in Community Services Work from Challenger Institute of Technology, came into India on a group tour of Educate & Make a Difference program in January 2015. 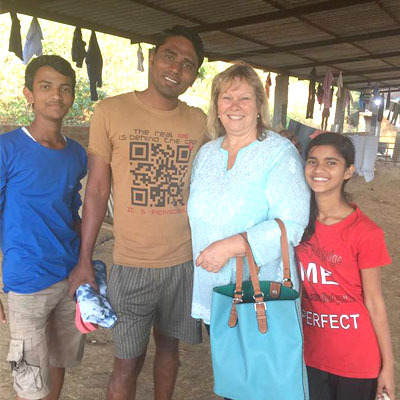 Her attachment towards the children of Shikshangram children's shelter brought her back to India within 3-months of her first visit to spend a longer time serving the community and the children of the shelter. 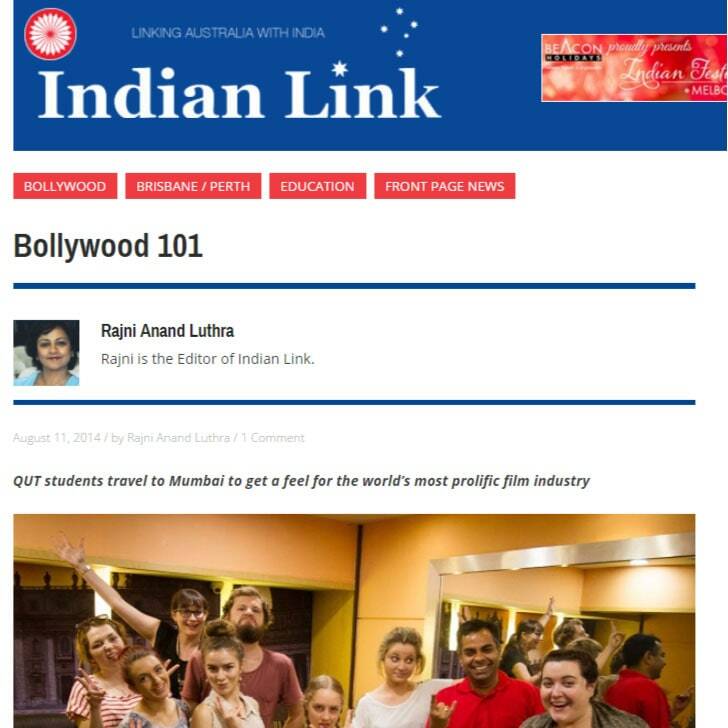 Go deeper into Bollywood, one of the largest and most profitable industries in the world, and get exposed to film marketing and the business of making films. Meet professionals from marketing, public relations, distribution, digital marketing, poster designing, cinema management, and post-production houses. If you’re intrigued by the popularity of Bollywood films, the revenues generated by them and you wish to know the inside stories of setting up film projects, planning, budgeting, promoting, advertising and other marketing strategies to make a film successful, then this program is just meant for you. This program is a life changing insight into the world of cinema. Attend film shoots, meet with film professionals, visit post-production studios and work on a student project. If you’re fascinated by the world of cinema and have always dreamt of coming to Bollywood- the land of grand song and dance sequences and elaborate sets and costumes- the Film and Media Program is just the thing for you. This Program gives you an opportunity to understand how Social Businesses and Small Enterprises have a two-fold agenda in a developing economy. To facilitate people from marginalized communities to play a role in the Economic Development of the country through participation in microenterprises and to also help with Social Development and Financial Independence of people living in these communities. You will be able to witness innovation in business and see how people have left being job seekers to become job creators. You will meet Government institutions supporting Medium and Small scale Industry as well as a host of organizations in different sectors of the industry either engaging in Social Business or creating livelihood opportunities for others. See how successful microenterprises function and thrive within the biggest slums of Asia, how developing countries harness the power of human capital and at what cost. If you are interested in learning about how financial inclusion at the grassroot level could lead to rapid economic development of a country, then this is the program for you. This program can help you gain an understanding of a very unique model of finance and development that started in Bangladesh through Grameen Bank but over the last decade became more successful in India. See how micro loans, small savings & timely repayments and the collective resourcefulness of people have the power to move households out of poverty. You will be able to witness the interplay of Poor Economics, Inclusive Business Practices and Innovative Financial Services in this exciting and inspiring program. If you are interested in learning about the most common healthcare issues faced by urban communities worldwide and how they are diagnosed & treated in a developing country like India, then this is the right program for you. Although most of the program is observational in nature, your course is guided by a qualified medical practitioner who will be your Academic Director and will be available to answer your questions and help with your placements. Your placements will be in different sizes of clinics and hospitals of different specialties in an urban setup. You will be able to observe consultations in OPDs, diagnostics, therapies, treatment and surgeries of different types. This program is ideal for students of pre-med, medicine, public health or nursing, biomedical sciences, biology and clinical sciences. Public Health in rural India is in stark contrast to the country’s Urban Healthcare. If you want to experience how with minimal facilities doctors and Institutions in Rural India reach out to a high population of people living in it’s villages then this is the Program for you. You will attend OPDs of specialist departments and observe surgeries in hospitals. You will also observe the Government facilities available for Public Health Services and be able to travel to remote tribal settlements with Charitable Mobile Health Vans. This program is ideal for a pre-med, medical student, public health student, biomedical sciences or nursing student. If you have no clinical skills but still wish to contribute to health care in rural India by volunteering your time and skills you can still signup for this program and be a volunteer. India is a land of dichotomy and a complex mix of traditional values with a modern approach. This is reflected in the stark contrast of Urban and Rural Healthcare. If you would like to experience the differences in healthcare delivery, access to healthcare, diseases and the resources for their management, then this is the Program for you. You will observe Healthcare and all it’s facets in two distinct locations, one completely urban while the other would be typically rural. Visit OPDs for different specialties, observe consultations and surgeries, meet with health professionals and access all kinds of healthcare facilities. This program is ideal for pre-medical, medical, nursing and other allied health professionals. No prior experience or other training required. 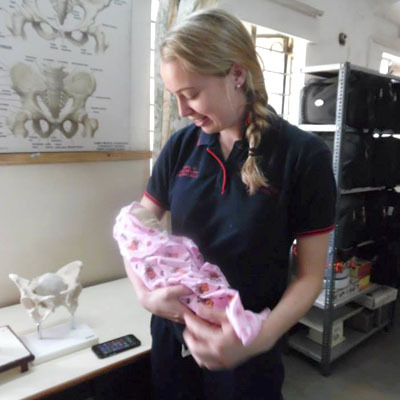 If you are keen to learn more about international health care then this program will help you make a difference by gaining unique first-hand experiences in both rural and urban medical set ups and applying them to your field of study. You will get to experience how the medical fraternity reaches out to the vast rural population especially those in the interior rural areas. You will see ground-level realities and learn about the health issues and the ways these challenges are met by the medicos, nurses and other health professionals. The program provides a platform for interaction with nurses and other allied health-workers and care-givers in the institutions where they are trained. In some of our program locations, you would even be able to work in a field setting with the interns as well as attend classroom sessions with them. Participate in a health camp for a school or a marginalized community and apply your learnings through the program in a real life setting. 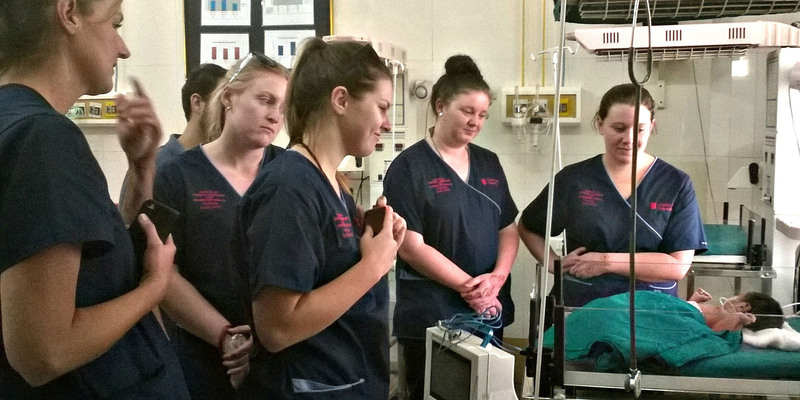 This Program is ideal for students of nursing, midwifery and allied healthcare. Ayurveda and other forms of traditional medicine are not Alternative Medicine in India, but mainstream Complementary Medicine and walks hand-in-hand with Modern Medicine. In this program you get to explore the ancient systems of diagnosis, disease prevention and therapy and learn how traditional healing methods, therapies and medicines work. In this program you get to shadow different traditional medicine doctors through their consultations and therapies. You have a choice to have some of the therapies performed on yourself and learn some of the basic techniques. You will also experience Yoga, in it’s country of origin, through lessons during your program and start to understand the philosophies and therapeutic uses of Yoga. This program is ideal for a pre-med, a student of some form of complementary or traditional medicine, health sciences, biomedical sciences or even an aspiring therapist of Ayurveda. Traditionally schools in India have a rote learning mechanism and teachers are not equipped to handle children’s creativity and natural learning styles. A typical classroom will have a teacher reading aloud from books and writing lessons on a blackboard and then asking students to repeat and copy in their notebooks. Punishment and aggression are still used to control child behaviour and teachers have no formal or informal training in managing child behaviours. You will be able to work with teachers in schools which offer education to rural tribal children or children from urban slum communities. You will help teachers in conducting activity based teaching in classes and co-design teaching aids for English, Math, Science, Art, Craft, Music and Social Sciences. Work with the teachers on creative learning techniques to improve learning outcomes among students and teach them creative techniques of handling unruly child behaviour. 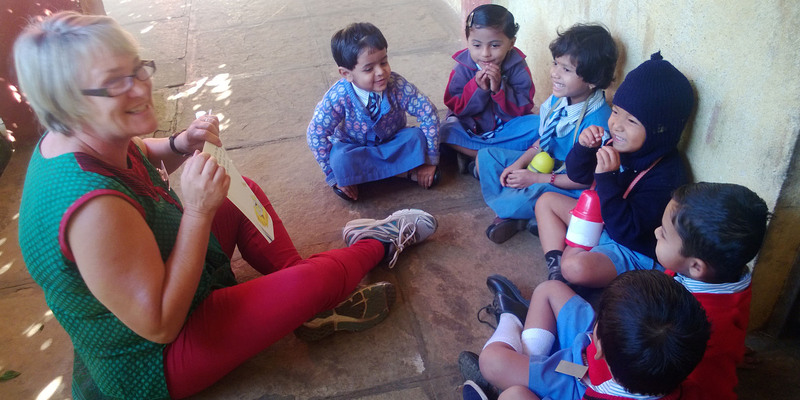 Work with organizations on reformative education programs in villages and slum communities. This is an ideal program for students of education, education support as well as trained teachers. 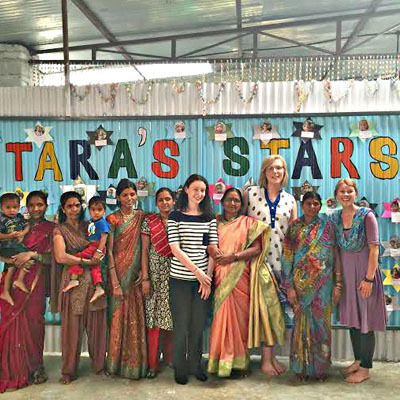 Work directly with kids in rural schools and orphanages, children from slums and migrant worker’s children, teaching them English, Math, Science, Art, Craft, Music or Social Sciences, designing teaching aids and working with teachers to introduce new learning techniques. Go beyond language in spending time with children and help them learn to express themselves. Make learning fun for children. This is an ideal program for a student of Education, Education Support, Child Services or just someone who wants to help children innovative learning techniques. Here is a list of which program is offered where. Observe, understand and contribute to social change in India. Learn how the Government and Charitable organizations are collectively tackling the social issues prevalent in this country. You will be able to interact with the beneficiaries and the change-makers to understand how contributions are made by different organizations committed to human development. You will witness many interesting models of human development first-hand and be able to experience many. This is an ideal program for a student of humanities, social work, liberal arts, social sciences or international development as well as someone who wants to gain experience and make a difference in the field of international development. This program provide give you an opportunity to understand the inner workings of microfinance institutions with a focus on achieving financial inclusion for the otherwise "non-bankable" urban poor in India. If you are interested in learning about economic development at the grassroots level then this might be the program for you. This program can help you gain an understanding of a very unique model of finance and development. You get a chance to meaningfully Engage, Ideate, Prototype and Co-Design with rural and semi rural communities to help improve the sustainability of specific by developing design solutions that are innovative, appropriate and implementable. If you are passionate about design, interested in participatory design and wish to design a sustainable project to make a difference in a marginalised community, then this is program is just meant for you. This program also allows for students from all Design disciplines as well as students of Fine Arts and Creative Industries to work together. This is not available for individual students applying. Service Learning is a teaching and learning strategy that integrates meaningful community service with instruction and reflection to enrich the learning experience, understand civic responsibility, and strengthen communities. We curate projects where you will be able to interact and engage with communities and institutions to understand development subjects. Beyond Borders also offers a host of Bespoke Programs set in a wide variety of fields. These programs are co-designed with universities to suit specific learning outcomes and academic goals of student groups. Number of program locations, types of placements, content of master-classes and workshops, length of programs and the framework and design of final student projects can all be modified and structured to meet your specific objectives. As an emerging nation with a booming economy, there are several opportunities in India for those with foreign knowledge and skills which are much needed and appreciated. Whether you work as an intern in a for-profit business, an NGO, a social business, or educational institutions, you will experience and understand how things are done differently, what problems or obstacles come in the way and how to solve them. You will not only gain experience and knowledge valuable to employers looking for intercultural competency, but also network with Indians and expats from other countries which could help in future career opportunities. Beyond Borders offers bespoke Internships to students who would like to engage with a target community or a selected organisation to achieve a specific outcome. All our Internships are managed with dedicated support from Academic Directors who are responsible for these interventions.